Hold the eyelash on the root of your natural lashes with add a bit pressure on it. Carefully remove the eyelashes from the case. Compare false eyelashes with your eye lines and trim to suitable length and width. Provide perfect length and weight for any eye. We have designed these high quality plastic non magnetic tweezers for magnetic eyelashes, making the work easier. 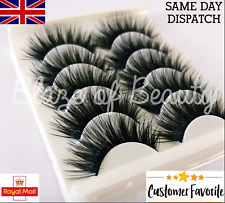 8X 3D False Eyelashes. The only perfect tool for application. 4 PC 3D Reusable False Magnet Eye Lashes. 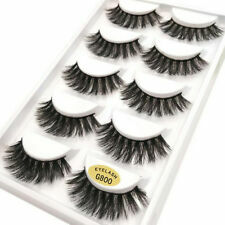 False Eyelashes Style:Long & Thick. Grab the second eye lash with the Dot and take it closer and right underneath of first lash. Hold without the dot Eyelash on the top of your eye. Material: Mink hair. 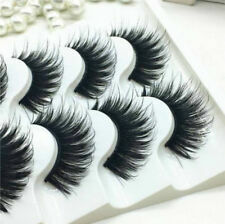 Handmade natural soft long thick false eyelashes. Suitable for party, wedding, prom or DIY doll make up. Make your eyes bright and attractive. Style: D-6. Double Wispies Magnetic Lashes. No adhesive is required to apply these lashes, you simply pop them on in seconds. There is a magnetic lashes applicator you can buy if you find applying tricky. ° No more glue oradhesive needed. Long, thick wispy lashes. Full and fluffy lashes. 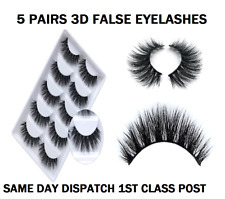 3 PAIRS OF DRAMATIC FALSE EYELASHES. Flexible lash band. We appreciate your understanding. Colour: Black. 1 PAIR OF WISPY FALSE LASHES. • We love them! 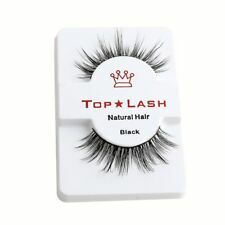 Genuine Top Wispy Eyelashes. • Flexible lash band. • Can be reused when removed with care. We appreciate your understanding. • Colour: Black. We appreciate your understanding. • Flexible lash band. • Can be reused when removed with care. • Handmade with a natural curve. Hold the eyelash on the root of your natural lashes with adding a bit pressure on it. Compare false eyelashes with your eye lines and trim to suitable length and width. Carefully remove the eyelashes from the case. 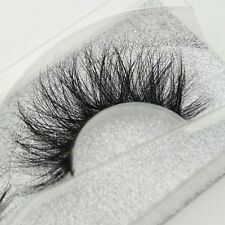 5 PAIRS OF DEMI WISPIES FALSE EYELASHES. • Flexible, clear lash band. • Wispy, natural look, with a lightweight feel. • Handmade with a natural curve for ease of application. We appreciate your understanding. 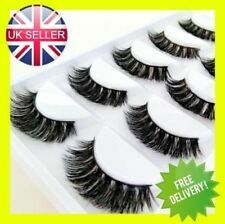 5 PAIRS OF EXTRA LONG FALSE EYELASHES. • Handmade with a natural curve. • Long, full effect. • Can be reused when removed with care. We appreciate your understanding. Blaze of Beauty. Can be removed by eye makeup remover. Make your eyes look bright and attractive. Match your causal and party makeup. Simple to use and comfortable to wear.